The HYD Super Wash is a multi-tasking 3-in-1 shampoo, conditioner and body wash for the ultimate in efficient showering. 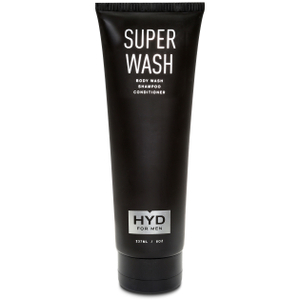 The Super Wash deeply cleanses and conditions hair whilst leaving the body refreshed and revitalised. 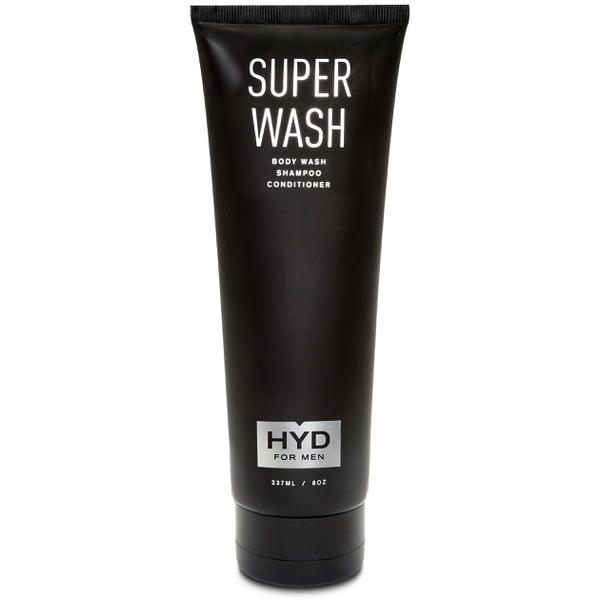 Infused with basil and eucalyptus oils to waken the senses and revitalise the body, the HYD Super Wash is the only bottle you will need in your shower and is also an ideal product for taking to the gym or for travelling. In a warm shower, wet hair and body thoroughly. Apply HYD Super Wash all over and lather thoroughly. Allow to sit on skin for a few moments before rinsing.